CC#4: What do I use to remove paint? Customer Question #4: "what do i use to remove old paint?" Short answer = You'll need solvents! Mineral Spirits, Acetone, Paint Thinners (i.e. Varsol) and Methyl Hydrate are some solvents. They're used for cleaning, thinning and dissolving stuff. Painting with oil-based product? You need this. Mineral Spirits is a petroleum distillate. It thins oil-based paint. Which you need to do when you're cleaning brushes and rollers. Compared to products labelled “Paint Thinner”, it's less flammable and much less smelly. Need to remove non-oil based paint or epoxies? This is for you. 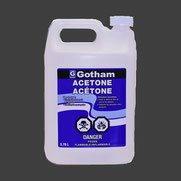 Acetone is an organic compound. Flammable and evaporates easily. It's a solvent found in some nail polish removers. Used to dissolve and remove non-oil-based paint. 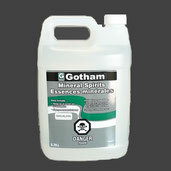 It also dissolves two-part epoxies and thins fibreglass resin and most adhesives. Cleaning up after using oil paint? This will do the job. 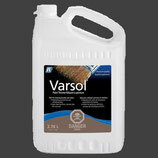 Varsol is a petroleum distillate. It contains mineral spirits. It thins all oil-based paints. Cleans brushes, rollers, hands, and anything that paint gets on. Smellier than Mineral Spirits. Trying to clean window panes? Use this. Methyl Hydrate is methyl or wood alcohol and is highly flammable. It's primarily used for cleaning glass and thinning shellac. Definitely, not for use with oil-based products or stains. Store manager Judith points to a shelf of solvents. Want to remove paint without harming the environment? Smart Strip is eco-friendly, 100% biodegradable, water-based, non-flammable and odour-free. Safe! Formulated without caustic or harsh chemicals. Removes multiple coats of virtually any coating from any surface. Removes The Toughest Stuff from all kinds of hard surfaces – including glass, brick, and wood to hand tools and auto surfaces. Cleans and removes the toughest spots, stains, and messy mistakes. Removes adhesives & glue, crayon, pen & marker, gum, scuff marks, stickers & decals, asphalt & tar, dried latex paint, duct tape, caulk, tree sap, candle wax and more. The name speaks for itself. Got graffiti on brick, cement, stucco or most stone? This’ll get rid of it! 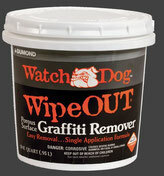 A non-drip gel clings to the vandalized or graffitied surface for fast removal, in most cases in less than 30 minutes. Safe, environmentally friendly, water-based, low odour and low VOC. 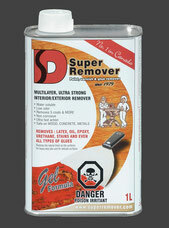 Removes adhesives, paint spills, caulking, epoxies, urethanes and most aerosol spray paints. Out with the old finish! Old paint, varnish, lacquer is gone. No harsh scraping. One-step stripping with no after wash or neutralizing necessary. Excellent on curved and intricate surfaces. Use with Circa 1850's Maple Scraper to be sure of not gouging or scratching. An industrial stripping product that is ideal for household projects. Removes up to 5 coats of paint in only one application. Practically odour free. Clean up with water. Ultra fast. Safe for wood, metal and concrete. Removes oil, latex and epoxy paints, varnishes and all types of glues. 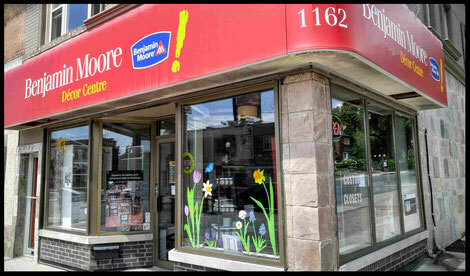 Visit us at Upper Village Paint & Wallpaper (1162 Eglinton Ave W) to purchase any of the products listed above or ask questions relating to your projects. Phone (647-352-6119) or email here.